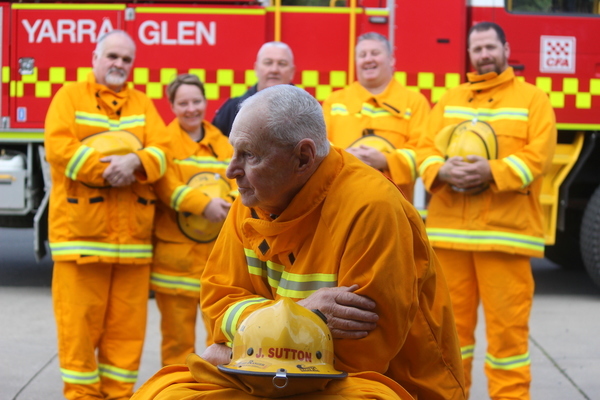 John Sutton''s 60 year commitment to Yarra Glen Fire Brigade is saluted by fellow brigade members. 183730_01. Photo: Kath Gannaway.